When you are six years old it is ALL about the monkey bars. There's nothing like the joy you get from finally making it. That sense of achievement that you get from hanging in there and trying again and again and again. Of suffering through a blister or two. Of falling into the sand more than once. Of swinging and missing. And swinging and missing. And swinging and finally reaching the next ring. Reaching all of the rings all of the way across. This past Sunday after the playground, we brushed ourselves off, washed our hands, had a snack and drove over to a friend's place for a house concert. Ever been to one? We hosted a few when we lived in Toronto - we'd hire a professional jazz musician or a small ensemble that we loved hearing play and then have them come to our house. Everyone attending would kick in $20 to pay the musicians. I'd push aside the couches and add a few chairs and set out some snacks. BYOB. We've hosted Michael Occhipinti, Dominic Mancuso, and Nancy Walker. (For local folk, the first two will be here as part of the Vancouver Jazz Festival on Sunday, June 24th.) It's a lovely way to hear music - intimate, personal - how small groups were meant to be heard. His Stradivarius cello was made about 15 years before Bach composed his six cello suites in the early 1700's. The Bach cello suites have been played on this cello for almost four hundred years. There was time for questions afterwards and I asked about children and music. I was very very lucky to go to a junior high school and a high school with top notch music programs. In fact, when I started university I was a performance major in classical music. Music has always been a big part of my life and I want to make sure that the girl gets a good start as well. Jan's advice, and I think it's good advice, is to make sure that once they begin their musical training that they do not stop. They'll want to stop. But keep motivating them and encouraging them. Even 20 minutes a day. Just get them through to their teenage years playing. And take them to hear lots of live music, no matter what style it is - jazz, classical, bluegrass - it doesn't matter. 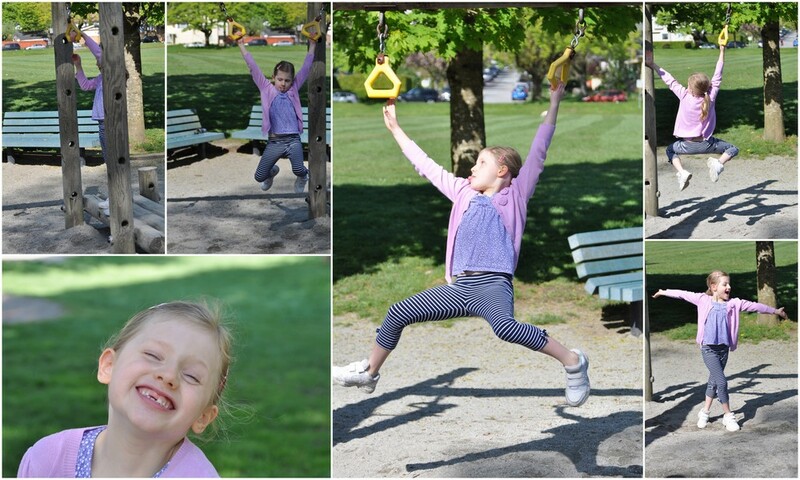 Most of us will not be prodigies at age six like Jan was - but I think that it's like the monkey bars - if you just hang in long enough and keep practicing and keep playing then you will feel that joy of mastery. And that feeling of mastery is priceless.